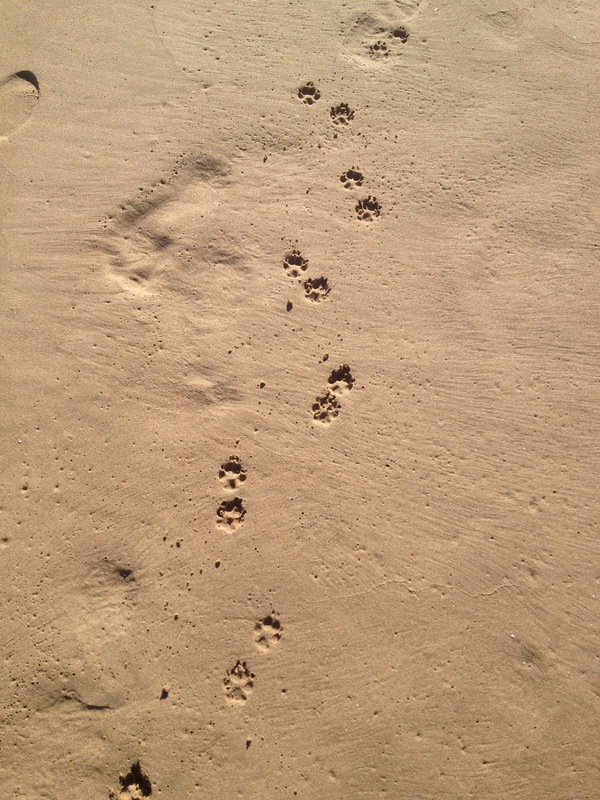 Is it just me or is there something that makes you feel warm and fuzzy when seeing paw prints in the sand? Not focusing on a particular country or travel adventure today, as it’s Sunday I though it might be nicer to just think about something that makes me happy! I’m going to be honest and say I am not the biggest fan of sand or the beach. I know, I know, many of you may think I’m crazy as beaches are a must have when travelling to a hot country. But I’m sure that there are just as many of you who think the same as me – ‘ugh, sand, it gets EVERYWHERE’ [insert revolted face]. Also the over crowdedness of beaches in the summer makes me want to hideaway in an air conditioned room! BUT there are times when being on the beach is a wonderful experience. For example the pure, white, almost silky sand that you find on islands like those at the Maldives make you not mind being barefoot as the sand just glides off. As I’ve mentioned in an earlier post I am a fan of winter. Which means I am a fan of beaches in the winter. There’s no crowds, you can have enclosed shoes, and you can get a clear view of those who have walked before you. Which brings me back to my paw prints. Whenever I see paw prints in the sand it makes me smile. I imagine the dog that has been playing on the sand. They’ve probably tried to eat it, play with it, run away from it and rolled around in it. This joy they must experience is so pure that it fills me with happiness. (Yes I feel I’m getting a bit mushy! But.. dogs… sand… happiness!). So when you are next by the beach, whether this is on holiday or just your local beach, and it’s not summer or it’s not really ‘beach weather’, take a walk along the sand (preferably with a dog!) and see how many happy little paw prints you can see.